Hi – welcome back to my blog. Thank you to those of you that have corresponded with me and shared comments. I have enjoyed our focus on improving the bottom line for entrepreneurs and business owners across the globe. As cool as that has been… I see a change ahead. I’ve received countless emails and posts from entrepreneurs interested in the information being I was sharing… but it wasn’t enough. They needed more than information; they were searching for a path to better understand and solve problems. So I started to think maybe the Up My Brand blog was missing the mark. Well if you know me, you know I am not one to miss a mark. So… I have retired the Up My Brand blog. If you know my background, you know I have been doing turnaround work for over a decade. In other words, I was solving problems that were severe and numerous enough that they threatened the profitable existence of the organization. 2. Simultaneously, the company must aggressively drive out cost, learn to do much more with much less, and find a new path to short term profitability. 3. Lastly, and not to over simplify, the turnaround must provide a platform to restore long-term profitability. The reason behind my track record of successful turnarounds is what I have often thought to be my secret sauce. Namely, the culture of empowerment that I build to incent the entrepreneurial minds in the employee ranks to find and solve problems when they are small and inexpensive – instead of letting them grow and fester into something expensive and disruptive; the type of issue that sparks a turnaround to rescue the firm. This exciting, innovative type of culture breeds a persistent state of continuous improvement. 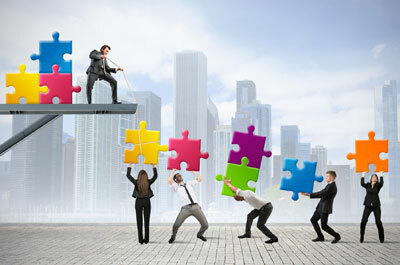 A culture insulated from disruption by stakeholders that are constantly on the look out for a problem to solve or a process to optimize can compete with advantage in any market. This is how a company can truly achieve the third component of the turnaround and deliver long-term, sustainable profits. So… as I thought more about what people were really asking for in the blog, I became more sure that I am absolutely suited to deliver. Thus, I retooled and have an improved direction for the blog. As of today, this blog is committed to delivering value through what I call Profitable Problem Solving™. Welcome. And of course, a blog is a great way to create a dialogue, but I wanted to do more. So I packed problem solving strategies and a road map to creating personal gain for yourself as a problem solver into my new book, being released in a matter of days on Amazon. 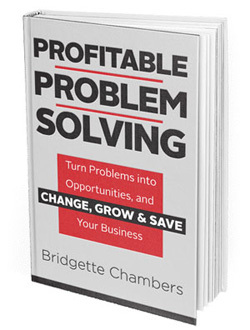 The book, Profitable Problem Solving™ will help you learn how to CHANGE, GROW & SAVE your company with strategies designed to ensure profit or personal gain. You’re busy searching out a way to differentiate yourself and grow your career and net worth. Let’s build some mad skills. Don’t you have enough to do? Why let small, simple problems fester and grow into complex, expensive, and disruptive issues? Wouldn’t it be smarter to solve those problems when they are small and encompass less risk? Let’s work together to build an exceptional culture and insulate your business from failure. We will start the dialogue here in the blog. But let’s not stop there… we can take this on the social road. Join our group of Profitable Problem Solvers on LinkedIn. Also, drop us a line on Facebook at facebook.com/profitableproblemsolving.